Styx is an American rock band formed in 1970 from Chicago that became famous for its albums released in the mid-1970s and early 1980s. They are best known for melding the style of pop rock with the power of hard-rock guitar, strong ballads and elements of international musical theater. 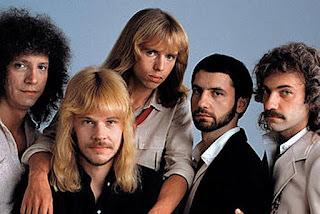 Styx is best known for the hit songs "Lady", "Come Sail Away", "Babe", "The Best of Times" , "Too Much Time on My Hands" and "Mr. Roboto". 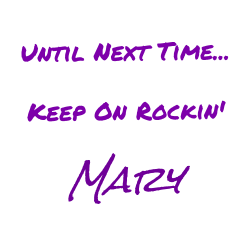 Other hits include "Show Me the Way", "Don't Let It End", "Renegade" and "Boat on the River", a big hit in much of Europe and Japan. The band has five consecutive albums certified multi-platinum by the RIAA as well as sixteen top 40 singles in the US. "Renegade" is a 1979 hit song recorded by the American rock band Styx. It was on their Pieces of Eight album. It reached #16 on the Billboard Hot 100 in the spring of 1979. The song is a first-person narrative of an outlaw, captured for a bounty, who recognizes that he is about to be executed for his criminal activities. The execution will be by hanging, as the outlaw laments, "Hangman is coming down from the gallows and I don't have very long." Some pressings of the single were made with translucent, red vinyl. Years after its release it remains a staple on classic rock radio playlists, and is usually the final song Styx plays at its concerts. When performed live from 1978 to 1983, drummer John Panozzo increased the tempo of the drum pattern during the guitar solo sections. Also, the track would serve as the drum solo spot for Panozzo during that time frame. Although songwriter Tommy Shaw and fellow Styx guitarist James Young usually played lead guitar on their own compositions, Shaw asked Young if he could take the solo on "Renegade". Young agreed, and later returned the favor by allowing Shaw to play lead on his "Half-Penny, Two-Penny" on the Paradise Theatre album. Since 2001, the song has become a de facto theme song for the Pittsburgh Steelers defense. The song is frequently played on the Heinz Field jumbotron, accompanied by a video featuring members of the defense. According to lore, during the 2008 season that saw the Steelers win Super Bowl XLIII, the defense was able to keep the opposing team from scoring nine times out of the ten times the song was played. 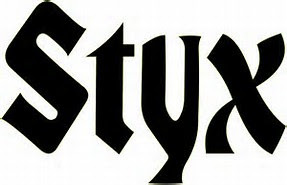 On January 11, 2009 Styx performed the national anthem and sang the introduction to "Renegade" before the Steelers-San Diego Chargers playoff game. They also performed the song in between the 2nd and 3rd period of the 2011 Winter Classic.